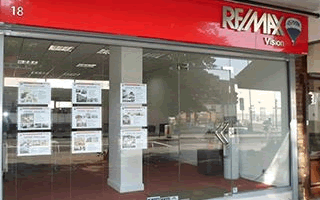 Welcome to RE/MAX Vision Estate Agents on London Road, Elephant and Castle, SE1. We specialize in residential and commercial property for sell, to let and manage property in Elephant and Castle, SE1 and the surrounding areas RE/MAX has more than 6,300 offices in over 91 countries. We offer global market exposure through our network of sister offices worldwide RE/MAX Vision advertises your property on our global website global.remax.com. The details and descriptions of the property are automa Read full description...tically translated to over 41 languages and prices are converted to more than 48 currencies With RE/MAX you get motivated, highly trained and experienced agents on call 7 days a week, with the capacity to fulfill your specific needs and requirements RE/MAX Vision provides a comprehensive service offering highly professional service. We can assist you to sell, to let, or manage your property. We also offer a bespoke property search service for real estate investments For any further information please call or email us and a helpful member of our team will be more than willing to assist you with your enquiry. Very reasonable, especially considering the energy he put into closing a sale for us. Very reasonable and worth every penny given the stress that comes with lettings. Introduction of a tenant fee: 8% of total receivable rent + VAT (9.6% incl. VAT) payable at the commencement of the tenancy and will be deducted from the money received by RE/MAX on the Landlord’s behalf. Dependent upon the number of bedrooms, ranging from £90 (incl. VAT) for a studio/one bedroom apartment to £125 (incl. VAT) for a four bedroom property. Larger properties will be quoted on an individual basis by the independent inventory clerk. Please note that suppliers’ prices may vary. If a property has extra rooms or rooms which are excessively furnished, suppliers are likely to place additional charges. being taken from the referees, as stated. inform & authorise your landlord, employer, accountant (if any) and personal referee to respond to the referencing company without delay. signed by all tenants and the landlord (or RE/MAX Vision on the landlord’s behalf). and pay to HM Revenue and Customs on behalf of your landlord. These provisions do not apply where you are paying your rent to RE/MAX. - A renewal document fee of £90 (incl. VAT) will be applicable if you wish to extend your tenancy. apply if you are exercising a break clause which is contained in your tenancy agreement. Should you have a reason to make a complaint, we have implemented the following complaints procedure to help us resolve your grievance and work towards continually improving our professional services. All complaints will be investigated and dealt with at no cost to the consumer. The complainant's legal rights aren't affected throughout the process. 1. Any complaint against RE/MAX Vision (the Company) should be addressed in the first instance to the person with whom you have been dealing in respect of the matter giving rise to your complaint. 5. Once we have received your written summary we will acknowledge receipt in writing, normally within 3 working days, to inform you of our understanding of the circumstances leading to your complaint. We may ask for more information regarding these circumstances and we will invite you to make any comments that you may have.